Did the professions form a distinct self-sustaining social group with its own mores and values? The overarching question of the Victorian Professions Project is whether the professions, as a group, were energized by a professional project. Did sons and sons-in-law enter the same or similar professions to their fathers; rise through the ranks and then in turn order more of the same for their own sons? Were daughters married off into families of allied professionals and was marriage outside of the professions uncommon and perhaps an annuitant-spinsterhood preferred? We can certainly see evidence of this type of project in our emerging cohort database but we are also revealing families for which the project never really gets off the ground, derails abruptly or just didn’t progress in the fashion intended. 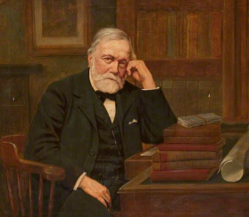 Just such a father’s frustration with his son’s career choice survives in the letters and family papers of Greenock physician, James Wallace (1826-1904) and his son William (1860-1940). This clash of wills also leads us via William’s marriage to a family of fascinating women – creative professionals and political campaigners in their own right, with all the verve, vigour and society-improving intentions of their male peers. James Wallace M.D., the ambitious son of a wire-spinning merchant, was a dedicated and devoted medic, a keen reformer of public heath in his town of Greenock. He was a determined and aspirational man who expected his son William to continue what he regarded as henceforth the family profession. Married well to Mary Williamson (1825-1892), the daughter of the Greenock procurator fiscal, George Williamson (1792-1854) – a very well-established man locally – James invested heavily in his son. When William veered away from his initial training in medicine and chose music instead, his father raged. His surviving letters reveal that he was deeply and furiously disappointed that his son did not follow him into his profession, especially after he had provided William with such a very expensive school education at Fettes. Although trained as an ophthalmologist and a graduate of Glasgow University (1888), William’s heart was not in climbing the ranks of the medical profession. He served successfully as a medic during the war but otherwise resisted his father’s professional project and devoted himself to a career in musical composition. Although money was an issue, he did eventually marry well – to the upper class Ottilie McLaren (1875-1947), daughter of Lord McLaren – which must have surely pleased his father. Ottilie Helen McLaren was the youngest daughter of Lord John McLaren (Lord Advocate of Scotland in Gladstone’s government) and Ottilie Schwabe descended from a wealthy Scottish-German Jewish family. Training first in Scotland under Pittendrigh MacGillivray, Ottilie persuaded her parents to let her go to Paris unaccompanied where she became a pupil of Auguste Rodin between 1897-1901 and would become recognized as a creative professional in her own right. Ottilie and William’s courtship was a long one. Her father insisted that his income as a musician should be no less than £600 a year before he and Ottilie could marry. This prolonged their engagement for nine years. Lord McLaren noted: ‘I have a very good opinion of Mr Wallace’s talent and industry, and it is only the fact of his having taken up a rather unremunerative profession that makes the difficulty.’ [See Sources & National Library of Scotland: MS 21535] Their separation as Ottilie pursued her art provoked a sizeable correspondence between them—Wallace wrote almost daily—letters preserved in a series of small books, covered with white vellum and fastened with coloured ribbon. They were finally married on 11 April 1905 in St Giles’ Cathedral, Edinburgh. Although very little remains of Ottilie’s work, we know that she was admitted to Royal Society of British Sculptors (A.R.B.S.). She was also invested as an Officer, Order of the British Empire (O.B.E.). For much of his creative life as a composer, William remained independent of musical institutions and societies. Later, however, he was a committee member of the Associated Board of the Royal Schools of Music and served as honorary secretary of the Royal Philharmonic Society and the Society of British Musicians in the years before the outbreak of war. In 1924, at the invitation of John Blackwood McEwen, he joined the staff of the Royal Academy as a professor of harmony and composition, a post he retained until the year before his death. Though based in London, he and Ottilie bought a retirement home, Westport House, in Malmesbury, where he died on 16 December 1940 from bronchitis and the effects of Parkinson’s disease. It would be nice to round off this blog post by looking to William and Ottilie’s children’s professions, however they didn’t have any children. We can however look backwards and across at Ottilie’s female relatives to see whether her independence was unusual within her own family’s ‘project’. It would seem that an independent and adventurous spirit was encouraged amongst the McLaren womenfolk. Her grandfather, Duncan McLaren (1800-1886), raised himself from poor origins and little formal education to be Lord Provost of Edinburgh and an M.P. 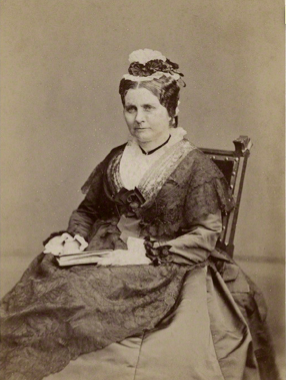 His third wife, Pricilla Bright (1815-1906), was a woman who took women’s suffrage support to be her vocation. Pricilla was the sister of Quaker, British Radical and Liberal statesman John Bright and temperance and suffrage campaigner Margaret Bright Lucas. Indeed she founded the Scottish division of the National Society for Women’s Suffrage. Both she and Duncan campaigned against the Contagious Diseases Acts and were active abolitionists. This particular project clearly passed down to the next generation. Ottilie’s aunt (step-daughter of Pricilla McLaren), Helen Rabagliati, MBE (née Bright McLaren) (1851-1934), was a local philanthropist and campaigner for improvements in health, women’s condition and political change. For example, she founded a hospice and a maternity home for young women. 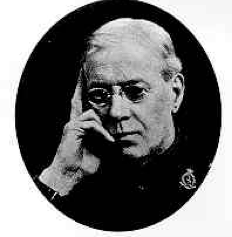 Another aunt, this time life-long spinster Agnes McLaren (1837-1913), was both a suffrage campaigner and a doctor. In the 1890s, Agnes began studying medicine in Montpellier and Dublin and thereafter practiced as a GP in France. She joined the roman Catholic Church in 1898 and campaigned for Catholic nuns to be trained for medical missions abroad (an aim fulfilled after her death.) 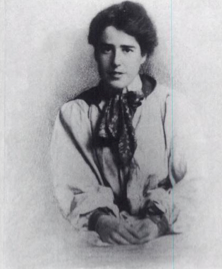 In addition, Ottilie’s cousin, Laura McLaren (1881-1964), the daughter of Charles McLaren, 1st Baron Aberconway (1850-1934), was also an activist and was awarded the Mons Star and mentioned in despatches for her work in running a hospital in France during the first months of the First World War. 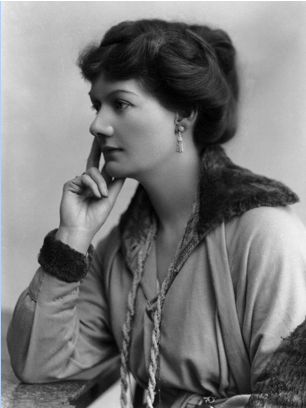 She was also a Trustee of Imperial War Museum and Justice of the Peace for London. Sian Reynolds, Paris-Edinburgh: Cultural Connections in the Belle Epoque (Ashgate, 2007). Gerard Lee Bevan: fraud, fist fights and rum. Robert Bevan: banking, wealth & respectability in Victorian Britain. Faith and fortune maketh the man…or, the butler did it.